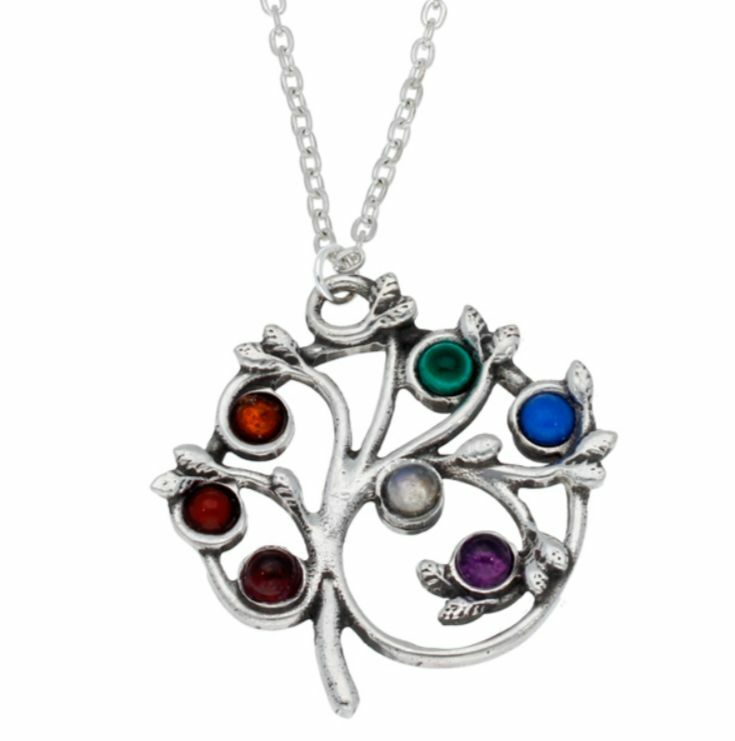 This Chakra Tree Seven Semi Precious Stones Pendant is expertly crafted with beautiful Stylish Pewter. 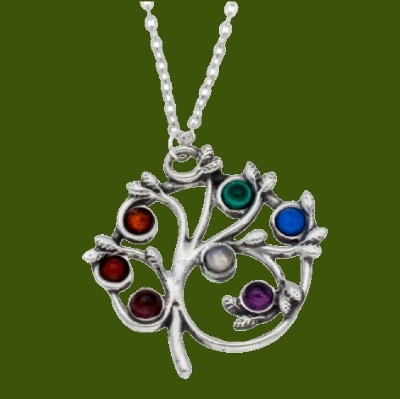 A Chakra pendant in the shape of a tree set with seven semi-precious stones – garnet, carnelian, amber, malachite, lapis, amethyst and moonstone to represent the seven chakras. 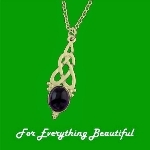 This pendant measures 36.00mm (1.41 inches) x 35.00mm (1.37 inches). A 18.00 inch (45.75cm) Rhodium plated Trace Chain comes with this piece. Supplied in a satin and velvet-lined gift box.